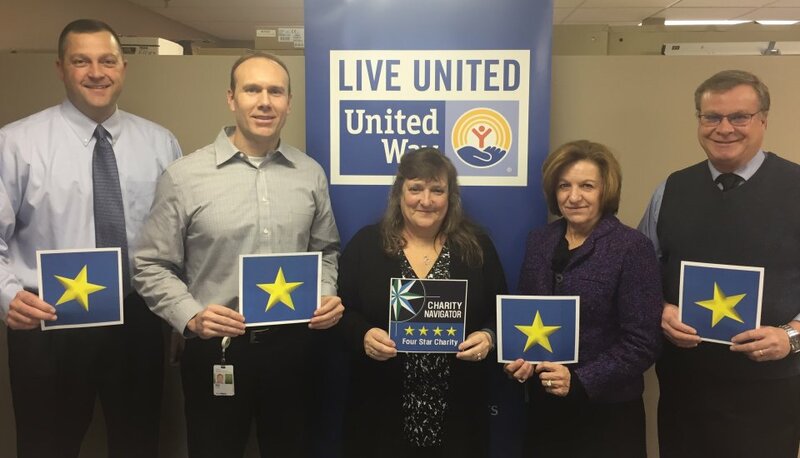 United Way of Union County’s strong financial health and commitment to accountability and transparency have earned it a 4-star rating from Charity Navigator, America’s largest independent charity evaluator. The organization has advanced to this top distinction from a 3-star rating the previous year. Since 2002, using objective analysis, Charity Navigator has awarded only the most fiscally responsible organizations a 4-star rating. In 2011, Charity Navigator added 17 metrics, focused on governance and ethical practices as well as measures of openness, to its ratings methodology. These Accountability & Transparency metrics, which account for 50 percent of a charity’s overall rating, reveal which charities operate in accordance with industry best practices and whether they are open with their donors and stakeholders. United Way of Union County’s rating and other information about charitable giving are available free of charge on www.charitynavigator.org. More-detailed information about United Way of Union County’s rating is available to Charity Navigator site visitors who become registered users, another free service. United Way works to bring neighbors and resources together to improve lives in Union County. More than just a fundraiser, United Way collaborates with local businesses, government, and non-profit organizations to solve pressing social service issues large and small. For more information, please contact the United Way of Union County at (937) 644-8381 or visit www.unitedwayofunioncounty.org. Charity Navigator, www.charitynavigator.org, is the largest charity evaluator in America and its website attracts more visitors than all other charity rating groups combined. The organization helps guide intelligent giving by evaluating the Financial Health and Accountability & Transparency of more than 8,000 charities. Charity Navigator accepts no advertising or donations from the organizations it evaluates, ensuring unbiased evaluations, nor does it charge the public for this trusted data. As a result, Charity Navigator, a 501 (c) (3) public charity itself, depends on support from individuals, corporations and foundations that believe it provides a much-needed service to America's charitable givers. Charity Navigator, can be reached directly by telephone at (201) 818-1288, or by mail at 139 Harristown Road, Suite 101, Glen Rock, N.J., 07452. Members of the United Way of Union County Board of Trustees announce the organization has earned a 4-star rating from Charity Navigator, America’s largest independent charity evaluator. Pictured, left to right: Scott Failor, Board Vice President; Marty Shroyer, Board Treasurer; Shari Marsh, Executive Director; Sylvia Minshall-Dyer, Board Secretary; and Evan Smith, Board Member & Campaign Chair.